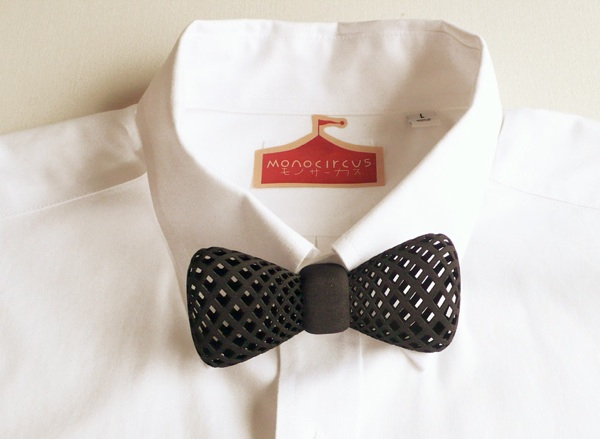 3D printed bow tie by monocircus #3dthursday « Adafruit Industries – Makers, hackers, artists, designers and engineers! 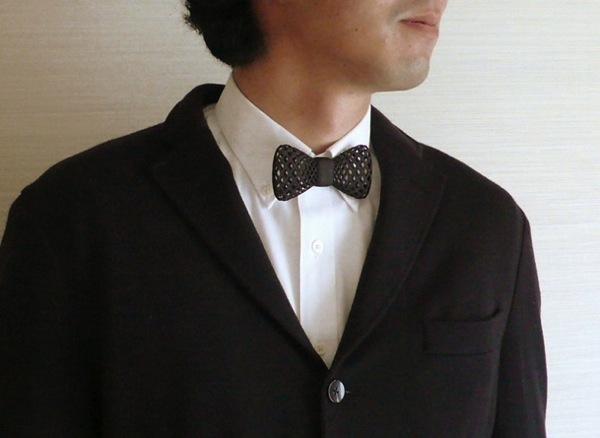 made utilizing rapid prototyping techniques in polyamide plastic, the 3D printed bow tie by japanese design studio monocircus reinterprets the common fashion accessory, retaining a visual presence similar to that of its woven-textile counterpart. conceived in one piece instead of being fastened like a ribbon, the attachment slots right onto the button of any collared dress shirt. a checkered surface pattern creates an optical illusion, accentuating the three dimensional volume of the item.